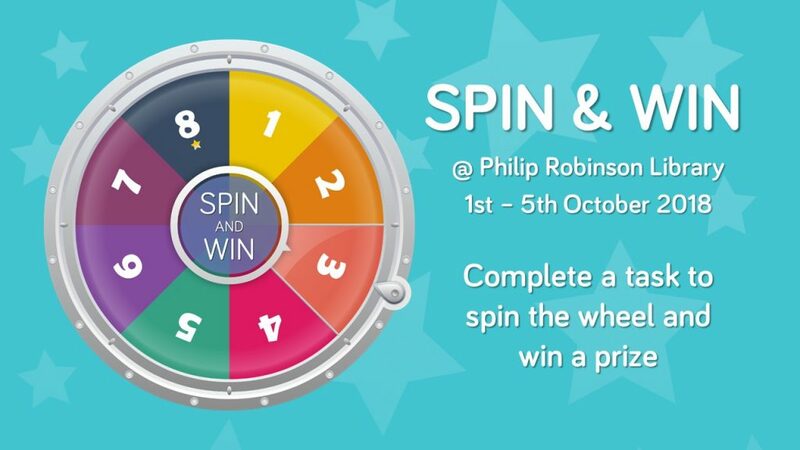 Join us next week in the Philip Robinson Library to Spin and Win some Library freebies. We’re giving away coffee vouchers, mugs, stationary, travel pass holders and more. Complete some simple tasks for more opportunities to win! Format ImagePosted on 28th September 2018 27th September 2018 Author Emily dottCategories UncategorisedTags Agribusiness and Food Marketing, Agriculture, Animal Science, Archaeology, Architecture, Planning and Landscape, Biology and Zoology, Biomedical Sciences, Business, Chinese and Japanese, Civil Engineering, Classics and Ancient History, Combined Honours, Countryside Management and Rural Studies, Culture and Heritage, Earth Sciences and Geosciences, Education and Educational Psychology, Electrical and Electronic Engineering, English Literature, Environmental Engineering, Environmental Science, Film, Fine Art, French, Geography, Geomatics, German, History, Law, Marine Science, Marine Technology, Mathematics and Statistics, Mechanical Engineering, Media, Culture and Heritage, Medicine, Music, Nutrition, Philosophical Studies, Physics, Planning and Landscape, Politics, Sociology, Spanish and Latin American, Sport and exercise science, Translating and InterpretingLeave a comment on Win some Library freebies! We have access to the Financial Times direct with FT.com within the Library’s collections. This allows University staff and student to access the latest copy of the FT using the online platform or app. On the 26th of September we implemented an alternative way to access and use our subscription to the FT.com. This is now using SSO (Single Sign-On) which uses the University of Newcastle ID page without entering a separate FT username and password. All existing FT.com users will have been sent an email with an URL within it asking them to re-activate their FT access. Once this is completed any preferences will still be available e.g. saved topics, newsletters, portfolios or alerts. For more information about the Financial Times online including logging in and searching please take a look at our Business news help page. 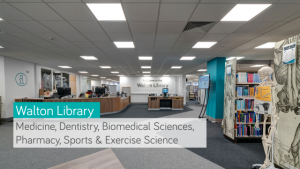 The Walton Library for the Faculty of Medical Sciences is situated on the 5th floor of the Medical School covering the subjects of Medicine, Dentistry, Biomedical Sciences, Pharmacy, Sport & Exercise Science. Nutrition and Psychology are also part of the Medical Sciences Faculty but their book stock is housed in the Philip Robinson Library. 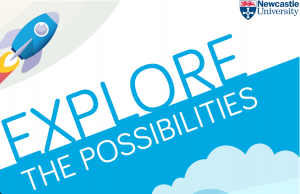 Check your timetable for a scheduled induction session or come up and have a look around, chat to the friendly staff on the service desk or watch our Intro Video. Come and do our Treasure Hunt and see what fabulous prizes you can find! While you are here try our new exciting Quiz and name the Dewey Classification number for Medical Sciences subjects and win amazing prizes! Use the catalogue to find the books you need. 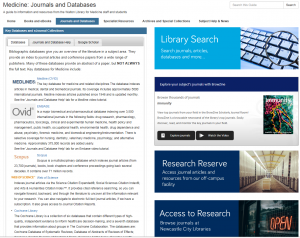 Reserve titles that are out on loan or held at the Research Reserve. Use the Books on time service to tell us about the books you need and we will see if we can buy them. We are always happy to help so if you have any questions please get in touch. Your bags are packed and you are excited to get started at uni, but you may be beginning to wonder what on earth to expect? How does it differ from a school environment? Never fear! We have created a short video just for you and put lots of advice and tips on our transitioning web pages. We’re looking forward to meeting you soon! P.S. Even if you’re not coming straight from school, some of this advice will still be relevant for you too, so do take a peek. 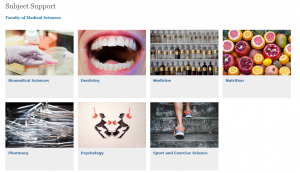 As part of an Evidence Based Acquisition model linked to eBooks from Springer we’ve now got access for 12 months to following collections for Social Sciences. After 12 months we will analyse which ebooks have been accessed and make decisions based on that usage for titles to include permanently within our collections. 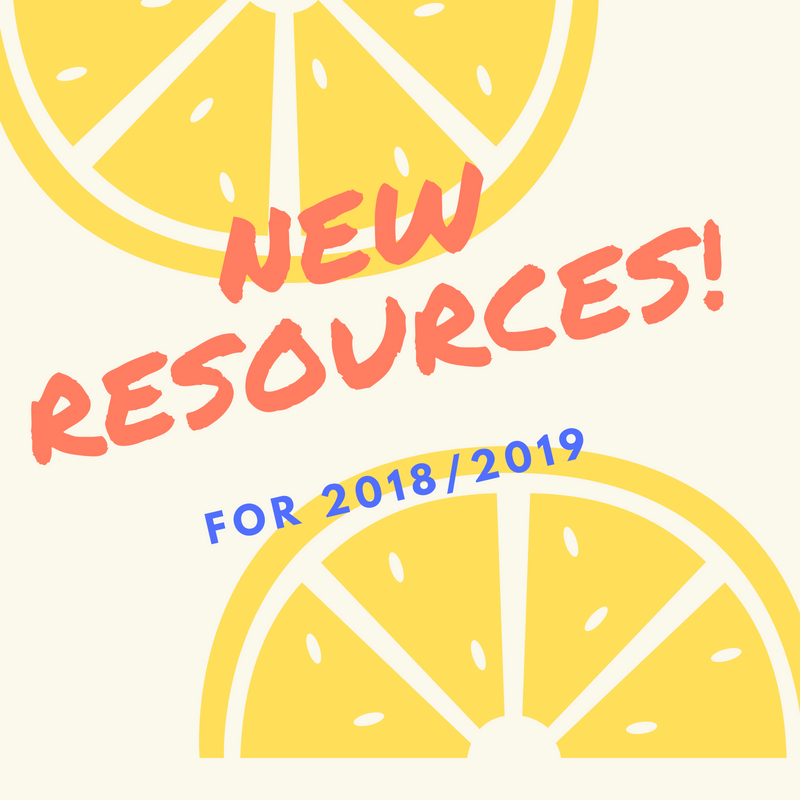 We are delighted to announce some new journal titles and other resources available from the University Library. This journal presents a scholarly forum for the history, theory, and criticism of design. It provokes inquiry into the cultural and intellectual role of non-architectural fields, from graphic design to industrial design. We have access volume one onwards. This is an extensive collection of the magazine from it’s first issue in 1920 to 2011. This title is published monthly by Condé Nast and has a strong reputation with architects and interior designers. Topics covered include information on architecture, arts, antiques, travel destinations, interior design and products. This additional subscription through Digimap provides access to some of the highest quality aerial photography available for Great Britain. This is created and licensed by Getmapping plc. Use a range of interactive tools, allowing interrogation and analysis of the data online and offline. Lidar Digimap offers detailed Lidar data from the Environment Agency and presents a model of the earth’s surface. Uses of Lidar data are highly varied, from use in the creation of visual effects for virtual reality and film projects to archaeology, forestry management, flood and pollution modelling. We have access to De Gruyter’s enire ebook collection until June 2019, after which we will buy access to the most well used titles. This currently covers over 27,000 titles related to numerous subjects including architecture and design. 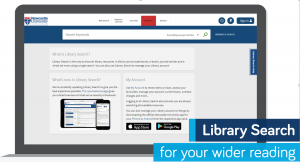 All titles are catalogued individually on Library Search. We’ve now added the archive for 2007-2017 to our newspapers collection. A quarterly journal which provides short research notes outlining ongoing research in more specific areas of research. Access is available from volume one onwards. A multidisciplinary journal features articles on migration, mobility and related themes. Access is available from volume one onwards. A quarterly journal which provides research and theory specializing in social movements, protests, insurgencies, revolutions, and other forms of contentious politics. Access is available from volume one onwards. Published quarterly, this journal examines theories and methodologies from a variety of disciplines and provides important links between feminist theory and the realities of women’s lives. Access is from volume one onwards. This collection presents multiple aspects of the African American community through pamphlets, newspapers, periodicals, photographs, correspondence, official records and in depth oral histories. Collection of primary source material covering Civil Rights in the USA from 1943-1970. Content includes photographs, correspondence, audio recordings, data and case studies, together with contextual features to help with interpreting the material. Search over 360 volumes of this major series, covering worldwide history from British and European History, Middle East and Asian Studies, Political Thought, and more. All volumes are also individually listed on Library Search. We have access to De Gruyter’s enire ebook collection until June 2019, after which we will buy access to the most well used titles. This currently covers over 27,000 titles related to numerous subjects including sociology, political sciences and geosciences. All titles are catalogued individually on Library Search. We have bought a range of eBooks from Emerald these are all cataloged and available on Library Search. China and Europe’s partnership for a more sustainable world.